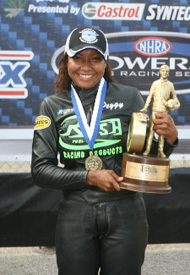 NHRA pro stock motorcyclist Peggy Llewellyn, the first woman of color in the world to win a professional motorsports event, is among several athletes pitching in for cancer awareness efforts. Llewellyn just started a year-long stint as a spokesperson for Divas For A Cure to promote breast cancer awareness in Black and Latina/Hispanic communities. “It takes two of my passions, which are motorcycles and reaching out to my community, and use them to raise awareness of breast cancer,” said Llewellyn, who is of Mexican and Jamaican descent. Miller Lite has already agreed to donate $200,000 to Operation Homefront, but that amount could increase with the help of Penske Racing driver Kurt Busch and his No. 2 Miller Lite Dodge. Miller Lite will add $10,000 to the pot for every top-ten finish Busch scores at the Kansas, Charlotte, Martinsville, Talladega and Texas NASCAR Sprint Cup Series races. 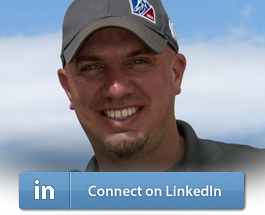 Racecar driver Austin Harris is pushing the National Center for Missing & Exploited Children. 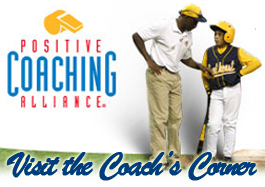 Harris, will serve as a spokesperson for the Center’s national safety campaign, Take 25, which encourages parents, guardians and communities to take 25 minutes to talk to children about important safety issues (National Center for Missing & Exploited Children). NASCAR drivers Jimmie Johnson and Bobby Labonte made school visits in the Atlanta area while they were in town for the race weekend at Atlanta Motor Speedway. Kasey Kahne threw a concert, and Jeff Gordon gets to look forward to picking up a Boy Scouts of America award. It doesn’t stop at that. There’s more after the jump. In Scotland, Brian McIver wrote that when Formula 1 driver David Coulthard “has any spare time, he is busy trying to help cure paralysis.” Coulthard is an ambassador for Wings for Life, which helps fund research into curing paraplegia and quadriplegia. NBA player Dikembe Mutombo is hosting a Presidential Inauguration party tonight in DC. Mutombo’s Party with a Purpose event is benefiting the Dikembe Mutombo Foundation, which provides comprehensive and innovative public health services in Africa to address urgent medical needs and preventable diseases (Dikembe Mutombo Foundation). Hamm’s Soccer Challenge: MLB.com’s Rhett Bollinger covered the Mia Hamm/Nomar Garciaparra Celebrity Soccer Challenge on Saturday, and wrote that the event “raised nearly $200,000” for Children’s Hospital Los Angeles and the Mia Hamm Foundation. The event also “encouraged the thousands of fans in attendance to register” for the National Marrow Donor Program Registry. Auction Block: As previously reported on Progress Avenue, last weekend’s Barrett-Jackson auction raised over $1 million for the Hendrick Marrow Program and the Darrell Gwynn Foundation. In Phoenix, Cathy Luebke noted that the Darrell Gwynn Foundation “raised another $165,000 Sunday as … Tony Stewart’s 2007 Monte Carlo hit the block.” Meanwhile, Jack Roush’s 2008 Roush Mustang GT “brought in $100,000” for Speedway Children’s Charities. During the annual Barrett-Jackson collector car auction yesterday in Scottsdale, Ariz., two cars were sold to benefit organizations connected with individuals involved in motorsports. A 1970 Plymouth Superbird Richard Petty Custom Tribute fetched $551,100 for the Darrell Gwynn Foundation, which will use the funds to benefit spinal cord research. 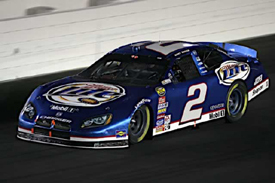 Meanwhile, one of Hendrick Motorsports’ 2006 No. 24 Jeff Gordon Chevrolet Monte Carlo racecars sold for $550,000, with proceeds go to the Hendrick Marrow Program (Barrett-Jackson). Super Speedway: Talladega Superspeedway received the Community Service Award from the Greater Talladega Area Chamber of Commerce this week. The award recognizes businesses for their contributions to the community and betterment of the Talladega area (Talladega Superspeedway). Run for a Reason: In Houston, Roberta MacInnis profiled this Sunday’s Chevron Houston Marathon’s Run for a Reason charity program. MacInnis: “You don’t have to organize your own fundraising effort; you can simply contribute to one of the more than 40 sponsored organizations, either on your own by giving to a running buddy who’s already enrolled in the program” (Roberta MacInnis, Houston Chronicle, 1/14). Read the entire note from Houston Chronicle. Image note: The American Liver Association is a sponsoring organization. Oddball? The CP reported that the the independent St. Paul Saints minor league baseball team “announced its latest oddball promotion” yesterday. A five-inning charity game will pit current and past Saints players against a collection of celebrities on February 28 at Midway Stadium in St. Paul, Minn. Admission “won’t be charged, and proceeds from concession stands will be donated to” local food shelf Second Harvest Heartland. Donations from fans “are encouraged” (CP, 1/14). The Force: Fourteen-time NHRA champion John Force will be the guest speaker at the fourth annual Speedway Children’s Charities Mel Larson Night of Champions Dinner on April 1 in Las Vegas. All proceeds from the dinner will benefit the Las Vegas chapter of Speedway Children’s Charities (Speedway Charities). Charity Stripe: In Texas, Corey Roepken writes that League City, Texas, will host the Knights of Columbus Free Throw Championship for the tenth year on January 24. This event “is held throughout the country,” and last year “more than 180,000 kids participated in more than 3,000 local competitions” (Corey Roepken, Galveston Daily News, 1/15). Read the entire article from Galveston Daily News. 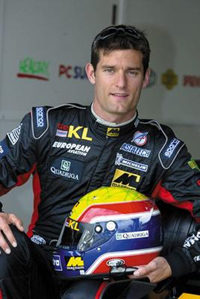 During the 2009 Rolex 24 at Daytona later this month, Patrick Dempsey and his Hyper Sport Racing team will support Avon Walk for Breast Cancer. The partnership with the Avon Foundation will add a little bit of pink to Dempsey’s No. 40 Mazda and the team’s uniforms. 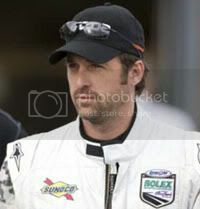 Dempsey added, “To help inspire fundraising for this important cause, there will be a special contest for top fundraisers – you can visit the web site avonwalk.org for details on how you can win a chance to meet me and my racing team” (Avon Foundation).